In august 2012 I blogged about the website for my wife's business, well, we're one year later and there's a new site. I'm even more proud of the results, especially since I'm not a web developer, not even a developer per se. Nevertheless, my wife and I managed to build this website with lots of effort and late night work. 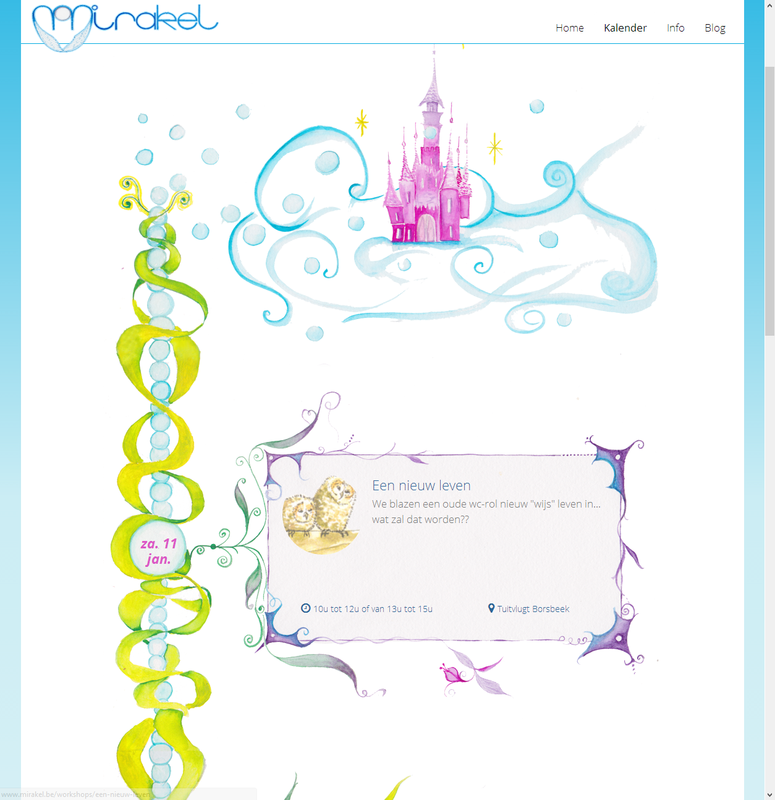 check it out at www.mirakel.be. The site is again build on the excellent open source Orchard CMS, version 1.7.2 this time. I've done the design myself based on bootstrap 3.0. It is very rewarding to have an artist @ home. 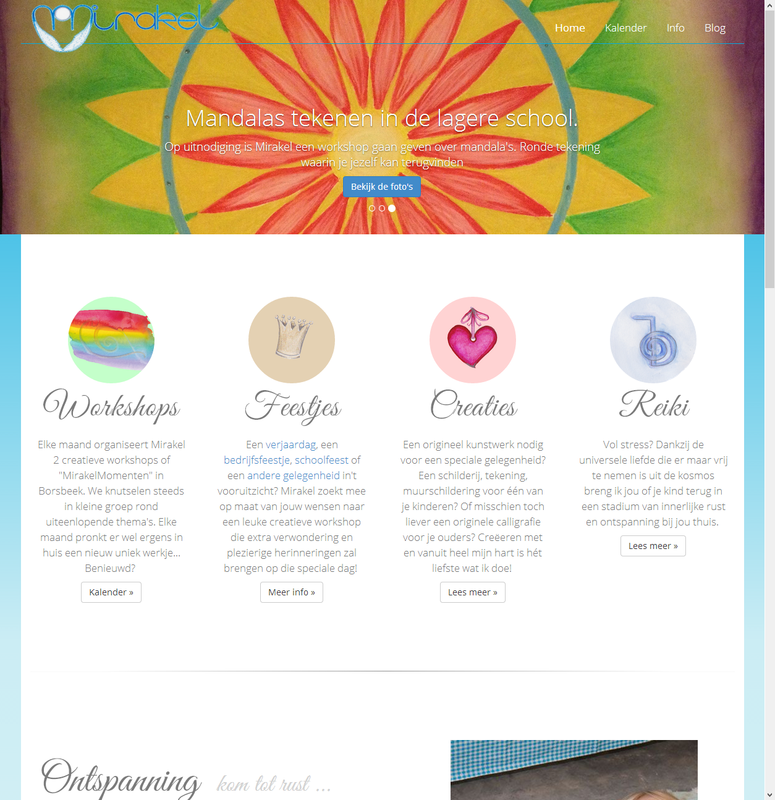 Ira does all the art work that I then translate into the design of the site. We've spent lots of time in the Calendar but the result looks great. The bootstrap framework allowed me this time to have one design for all form factors. I've designed for mobile first and then went up in screen size. The previous site had 2 different themes which were served based on the user agent. But now, there's one theme to rule them all. The new media features in Orchard 1.7 allowed us this time to work way easier with image galleries. Previously we did photo's kind of outside the orchard environment, this time, Ira can do all the editing, including image galleries within Orchard. 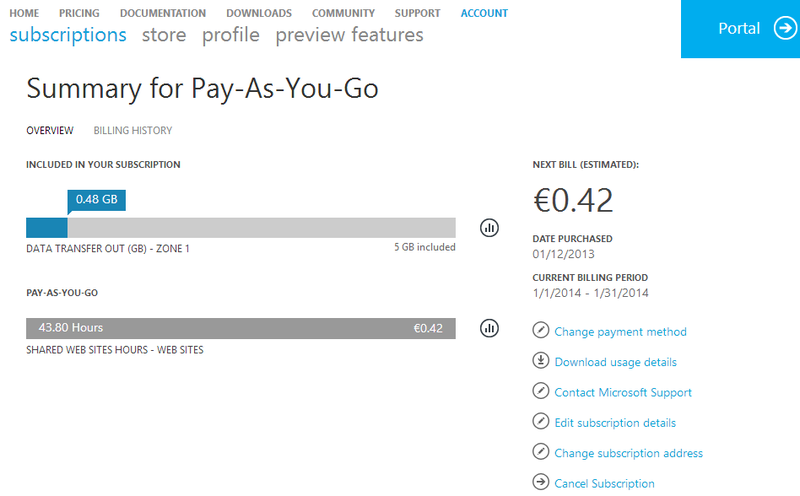 The site runs on windows azure this time on a pay as you go sub using a standard web site package. After 2 days, my bill is up to € 0,42 ;). Windows Azure works like a charm with Orchard and I'm glad I've moved from a VPS to it.